ABBA never made a Christmas record. The four did sing a few impromptu Christmas songs, usually on radio broadcasts, and there were a few recorded spoken-word Christmas greetings released on giveaway flexidiscs. Agnetha recorded a Christmas album with her daughter Linda, 1981’s Nu tändas tusen julejus (Now a thousand Christams candles are lit) . Benny’s pre-ABBA group The Hep Stars recorded an album Jul med Hep Stars (Christmas with Hep Stars) in 1967. Both Frida and Björn’s group Hootenanny Singers recorded songs for a Polar Music Christmas album, När juldagsmorgon glimmar (When Christmas morning shines), in 1972. ABBA remained away from any songs that could be restricted to any seasonal event, with the one exception ‘Happy New Year’ (on Super Trouper, 1980), which is more a song of wistful reminiscence than a song to be played at midnight on New Year’s Eve (not that that stops many people from actually playing it then). Personally I’m glad that ABBA never recorded a Christmas album. Most of them are too kitsch, too sugary, and most of them sound the same. Very few have anything to offer artistically. ABBA remained secular, without trying to appeal to a small niche market or disenfranchising any part of their audience. This entry was posted on 23 December, 2009 at 06:13 and is filed under ABBA, History. You can follow any responses to this entry through the RSS 2.0 feed. You can leave a response, or trackback from your own site. mmh, I think that there are 2 – more or less – ABBA christmas songs – “I have a dream” and “Like an angel passin trough my room”. I mean, these are no official christmas songs but when “I have a dream” was released as single it had a christmas banner on the back. I would not think that Björn & Benny would have decided for such a kitschy christmas album, I think it would have come to a wonderful result. Some traditional music as Benny does it with BAO, some ballads and maybe a special version of “Silent Night”. Maybe a pity that it never happened. 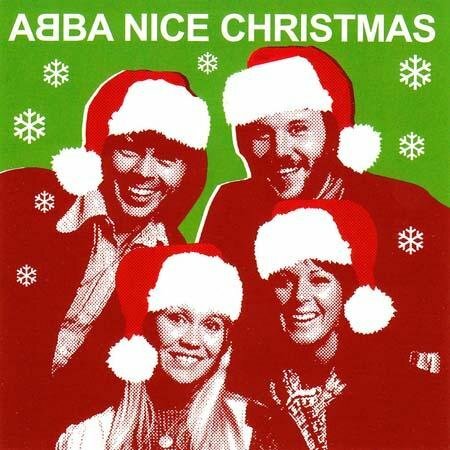 I for one always wished for an ABBA Christmas album of standards and perhaps one or two new original ones that can immortilize my favorite band for every Christmas to come. I swear I could just picture in my mind them singing “Feliz Navidad” with Frida & Agnetha taking turns at a verse then singing the third in unison. Frida singing “Silent Night” and Agnetha covering “Do you hear what I hear”. They would have produced an incredible masterpiece of a holiday album imprinted with their own style & glorious harmonies. Alas I digress…for it will most likely never happen. Their versions of “I Wish It Could Be Christmas Every Day” and “All I Want For Christmas Is You” would no doubt have become oft-duplicated classics, in typical ABBA style. Björn Again proved it could be done with “Santa Claus Is Coming To Town” and “Little Drummer Boy”, based on “Waterloo” and “Fernando”, respectively. Based on what B&B have said about their method of writing, Björn would have to let himself entertain notions of a melody singing about some Christmassy theme before he would set to trying to capture those sentiments in lyrics. In other words, “The Winner Takes It All” might have been “It’s Christmas Time Again”; “Like An Angel” might have been “Christmas Morning Without You” etc, if Björn had let it. Now, of course, in spite of his own beliefs, he is not averse to writing Christmas-themed lyrics, at least in Swedish, such as “Han Som Vunnit Allt” (“He Who Won It All”) if it suits the feeling of the melody. Frida actually did record “Silent Night” with Benny on synth in 1979! It’s beautiful!